London, United Kingdom - It’s the final week of summer, but there’s still time to catch some of the season’s best shows before the London galleries gear up for their big autumn openings. Courtesy of the artist and Victoria Miro, London. Photo: Robert Glowacki. Perry is such a ubiquitous media presence that one sometimes forgets he is an artist as well as an extrovert denizen of the party pages. Some of the works on show at Serpentine had their origins plotted on the small screen, among them a series contemplating masculinity, and a pair of Brexit vases representing the worldviews of “Leave” and “Remain” voters. Perry is skilled in creating an aura of levity that allows him to smuggle serious subjects into discussion. 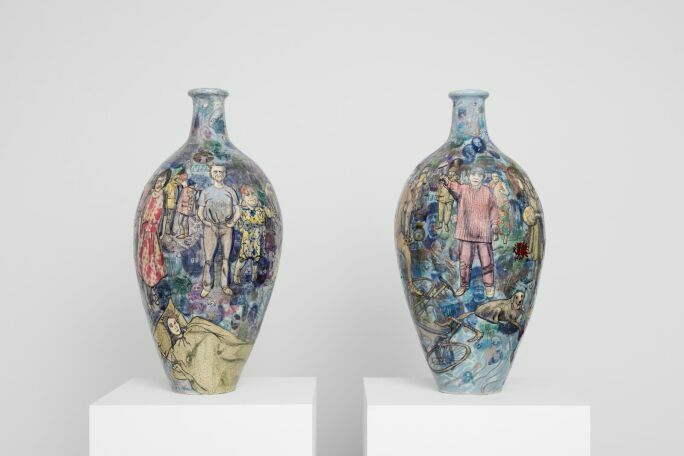 Here, in ceramics, tapestries and shrine-like assemblages, he reflects images gleaned from a fractured Britain back at itself, and contemplates the role of art and the artist within it. It has taken three decades for some of Britain’s leading black artists to start receiving the recognition they deserved. The 2017 Artes Mundi prize winner John Akomfrah and Turner Prize-nominee Lubaina Himid were, in the 1980s, both leading figures in the push for the exploration of new forms and aesthetics to represent the black British experience. 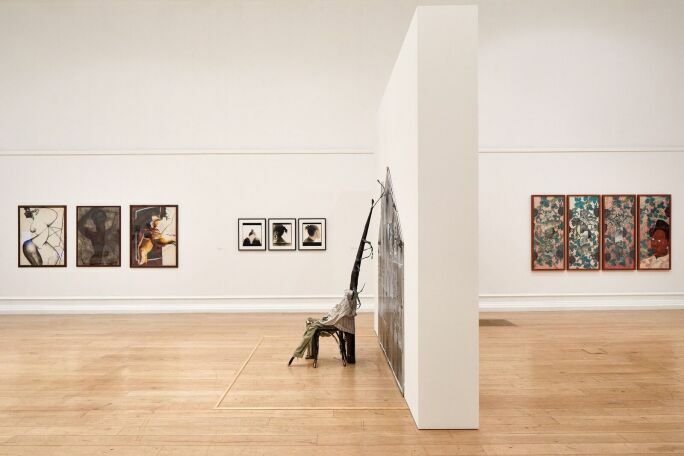 The Place is Here looks back to the most important exhibitions and works of the time, with hard-hitting pieces by Gavin Jantjes, Sonia Boyce and Keith Piper, and a wealth of archival material. 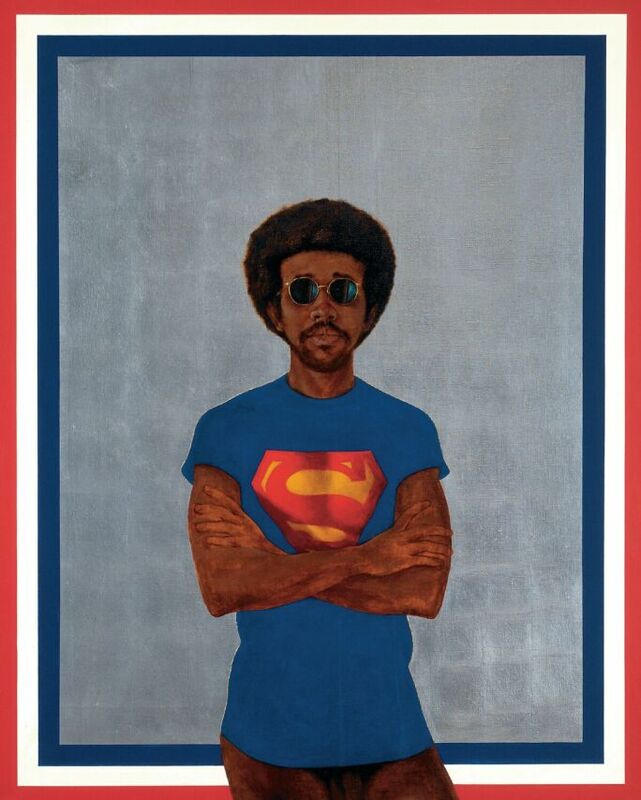 Radical art and politics meet in this extensive survey of works produced by artists of colour from across the United States between 1963 and 1983. Ranging from searing graphics created by Emory Douglas for The Black Panther newspaper to expansive abstract works by Sam Gilliam, the show presents multiple – and often contradictory – responses to the question of what art should be, and what audiences it should address. Highlights include a substantial body of work by David Hammons using such humble materials as grease-stained paper bags and hair clippings, handsome portraits by Barkley L. Hendricks and Roy DeCarava’s low light photographic studies. 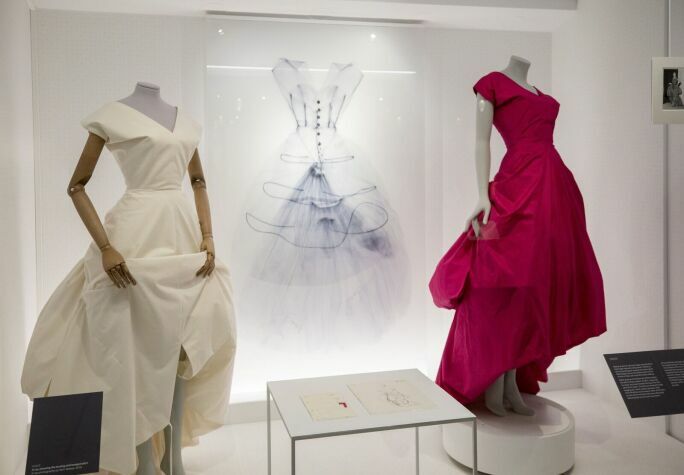 On the centenary of the founding of his first fashion house in San Sebastián, Spain, the V&A investigates Cristóbal Balenciaga’s late career creativity, and the wave of enduringly influential silhouettes he produced in the 1950s and 60s. Where Christian Dior’s “New Look” returned women to the restrictive, corseted ideal of the 19th century, Balenciaga’s pod-like capes and robes stood proud of the body: an architectural ideal of fashion that paved the way for a liberating avant-garde. X-rays show the underlying structure of garments, while contemporary toiles stitched from his original patterns demonstrate the technical mastery behind Balenciaga’s deceptively simple forms.